Nicole Lance’s love of all things refined and silver is contagious. 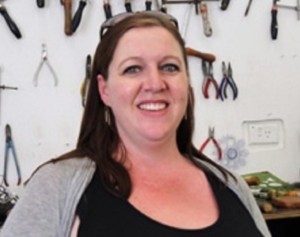 After completing her BA in Jewellery Design at Curtin University, Nicole’s fine pieces have been picked up by John Curtin Gallery, and our own FOUND shop. Her flexible and informative teaching style puts an emphasis on careful design and her classes will equip newcomers with both contemporary and traditional techniques.